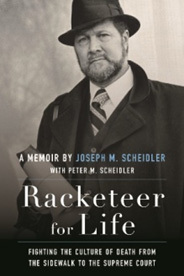 Below are exclusive excerpts (including the table of contents) from Racketeer for Life: Fighting the Culture of Death from the Sidewalk to the Supreme Court, a memoir by Joseph M. Scheidler, affectionately known as the godfather of the pro-life movement. I had the privilege of working for Joe and his wife, Ann, from August 2001 to May 2002. My how time flies! Thanks to TAN Books for permitting me to publish these excerpts in my column. Click here to order a copy of Racketeer for Life directly from the publisher. Click here to help promote the book via social media. From chapter 32, "The Pro-Life Family"
The pro-life activist family isn't exactly your typical American family. On the one hand, we looked like Leave It to Beaver, with a stay-at-home mom who regularly baked cookies and managed the home, though with a few more kids than the Cleavers. Maybe we were more of a Brady Bunch crew. But often enough, the entire family climbed into the station wagon to go to a pro-life picket. Many Saturdays, Ann headed to an abortion clinic to sidewalk counsel. I was often out of town giving talks and leading protests and marches. As word spread about my mission, my children were often questioned about what their dad did for a living. For the older ones, it wasn't an easy question, and it generally resulted in a debate or an argument. It may have been an opportunity to evangelize, but it also put my kids in a difficult position. I recall Sarah recounting a day in the second grade when the teacher asked the students to tell what their parents did for a living. They went around the class, each student rattling off his or her parents' professions. Sarah said she wished her father was a dentist. There were difficult times. A pro-life family can become isolated in a neighborhood. As a movement leader, my situation was different from someone who has a separate profession that provides an income and who does pro-life work on the side. People not directly involved in pro-life tended to think of me as an extremist. Of course, having protesters show up at my house routinely didn't do much to dispel that impression. Little by little, I discovered that my only real friends were other pro-lifers. Nice, well-meaning people at my parish – including the priests – would ask, "How's your cause going?" Sometimes I'd say that it wasn't my cause – it should be everyone's cause – but usually I'd just reply that it was keeping me busy. By the time I founded the Pro-Life Action League, my two older boys were young teens. I found a storefront office just around the corner from our house, and the boys helped me set it up for my new office. Joey, thirteen, had a real knack for organization. His bedroom desk looked like it belonged to a CEO, with little compartments for pens and paperclips. He took on the task of preparing our fundraising mailings. I had a pretty good list of supporters, about a thousand, on three-by-five cards. Together we created a set of mailing labels and duplicated the letters. Joey recruited his brothers and some friends. They set up an assembly line to fold, stuff, seal, and stamp the letters. One of the incentives to get his friends to help was that we had a VCR in the office, a Betamax. Hardly anyone had those in their homes yet, so it was a treat to be able to come over and watch a movie on the Betamax when the work was done. The kids also helped us with yard sales. The office was located just off a major Chicago street and had a nice lawn next to it. We borrowed tables from everyone we knew, and people donated all sorts of items. Ann and the kids and I, along with board member Rosie Stokes, manned the tables. The sales were always a success, and the proceeds kept the League going for another couple of months. I've always felt it an honor that people look to the Scheidlers as a pro-life family, a family with a very definite cause: to change our society and bring back appreciation for life. And my kids seemed to take on the pro-life cause as a natural part of life. Of course, the younger ones never knew anything else. At first, they probably thought that everyone went out to picket clinics. They held signs and small caskets, chanted slogans, and fielded insults. Eric was sidewalk counseling as a teenager. He was good at it. Over the years, though, we've been the target of some vicious attacks. It became fairly common to receive death threats by phone. One of my children would answer the phone only to be told I would be shot. Once Ann answered and was told to come down to the morgue to identify my body. As she'd just hung up from talking with me a moment before, she knew I was perfectly fine. Refuse and Resist picketed my home several times. They leafleted the neighborhood with flyers claiming I hate "womyn." Once when they came early in the morning and woke the kids, I went out and invited them in for doughnuts. They refused, saying I'd probably poison them. They decided instead to lie down on the sidewalk in front of the house. But Annie, my middle daughter, irritated that they'd awakened her, noticed that our sprinkler was out on the front lawn. She went out the back way and turned on the water, dousing the group. Another time, abortion advocates visited my home during the night to put plastic hangers in the trees and bushes and tape posters to my front door and columns. These were easy enough to clean up, but another time, they vandalized my home while we were all out of town. They'd alerted the media that they planned to spray paint our house and garage. The results appeared on WGN evening news, complete with my home address plastered across the TV screen. The program was even seen by some friends in Frankfurt, Germany. One night, in their zeal to brand me a "womyn" hater, someone was sent to spray anti-Joe slogans all over my garage – but it was my neighbor's garage, not mine. That was embarrassing. I quickly sent Tim Murphy over to scrub and repaint their garage. My neighbors actually took it pretty well. In 1993, while Annie was at Southern Illinois University (SIU), we all went down to Carbondale for a family weekend. Comedian Richard Jeni was entertaining there as a part of the weekend activities. Annie was excited about our visit and bought tickets for the whole family. We had seats in row three. Jeni started off with a couple of snide remarks about religion, and I hoped that would be it. It wasn't. He became increasingly crude, and after a string of anti-Catholic jokes, I whispered to Ann that I was leaving. I rose and started walking down the long aisle to the back of the auditorium. "Where are you going?" Jeni called out. I decided not to duck the issue. "Your jokes are foul, and I don't have to stay and listen to you." He launched into a barrage of vulgarity, mocking me for walking out. At that point, the rest of my family got up to leave as well, along with several other members of the audience. Jeni continued to deride everyone leaving. Even my grandchildren have joined the fight for life. My daughter Cathy had taken a picture of her eighteen-month-old son Aaron picking up a stone to throw in a puddle in the alley behind our house. It was such a captivating picture that we selected it for a billboard campaign that ran in several states around the nation. The billboard featured Aaron's photo, the words "see the world through your child's eyes," and the message "Choose Life," along with phone number of a pregnancy help line – 800-848-LOVE. The local crisis pregnancy centers reported significant increases in calls for assistance wherever the billboards appeared. Aaron and his brothers Aiden and Noah have traveled to Washington, DC, with the Crusaders for Life for the March for Life, and have joined me on my radio program to discuss the role of young people in the pro-life movement. After completing his master's degree at Yale, my son Joe worked in the business world for several years. 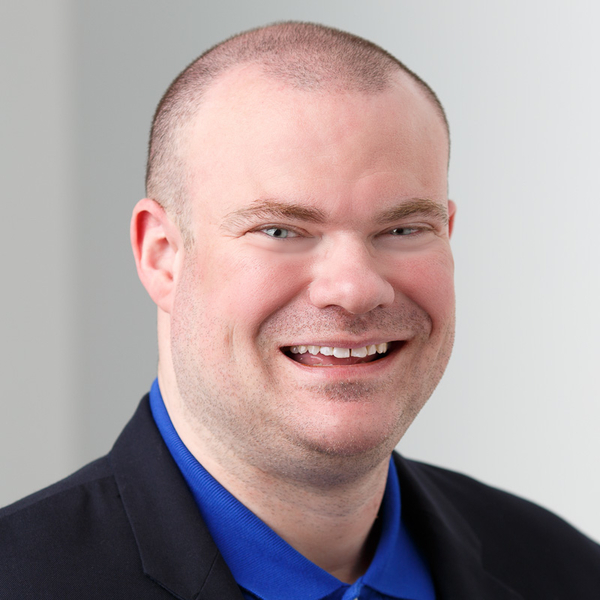 Once when he went in for a job interview, the interviewer told him, "You won't believe this, but I Googled your name, and what came up was this crazy anti-abortion guy." "Yes, that's my father," answered Joe. He didn't apologize for the fact that his dad was a crazy anti-abortion guy. He got the job. My daughter Annie took on the activist mantle during her college days at Loyola University and went on to become a youth minister. She applied for a position at a parish in Winnetka, an upscale Chicago suburb. The parish board saw the Scheidler name and got spooked, fearing that all a Scheidler would do was talk about abortion. But the religious education director was in Annie's camp, so they invited her for an interview. They loved her. They even hired her sister Sarah to teach fourth grade at the parish school. As hard as it was for my children to belong to a pro-life activist family, I do believe it taught them an important lesson. When something is very wrong in society, we have a Christian obligation to do something about it. It's not good enough to wait for someone else to do it. We have to step up and do it ourselves.